With a ton of samples on top. 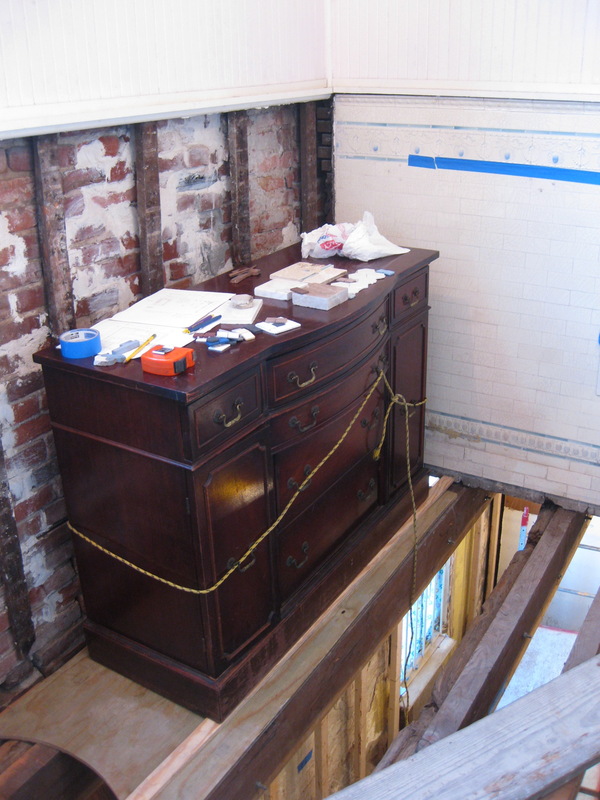 Yes that is our kitchen down below. 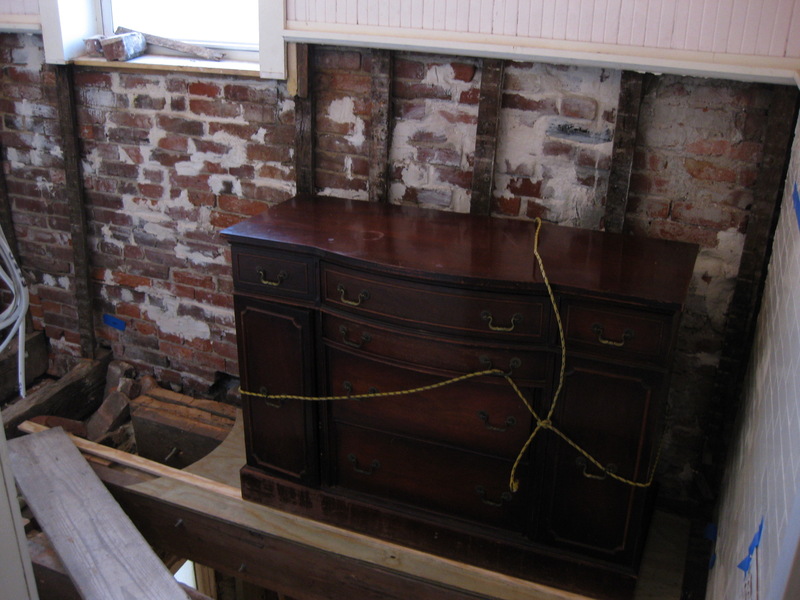 I think the rope was an attempt at holding the drawers and door shut while we carried it up the steps. 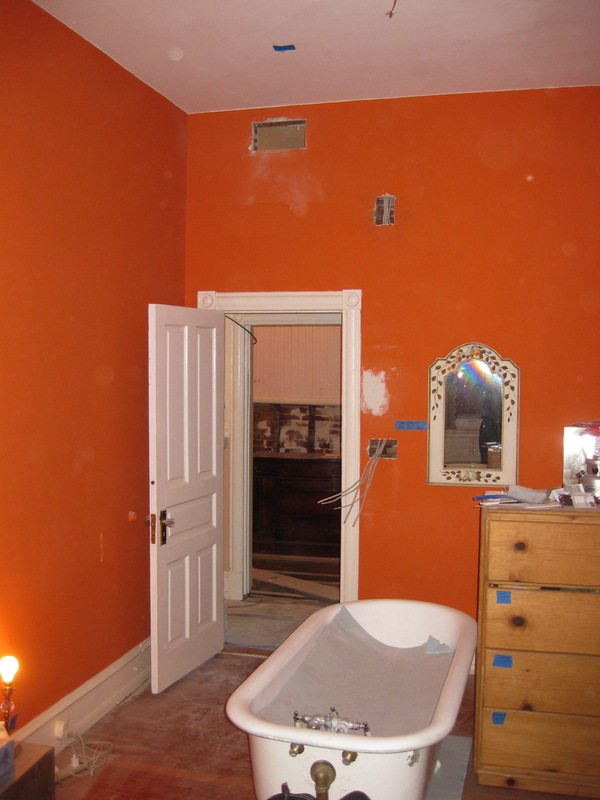 And here it is from afar….in the orange bedroom before we repainted. Tub’s still here… You sure you don’t want it? So despite our severe lack of posts, we can still feel like we’ve made some progress! !